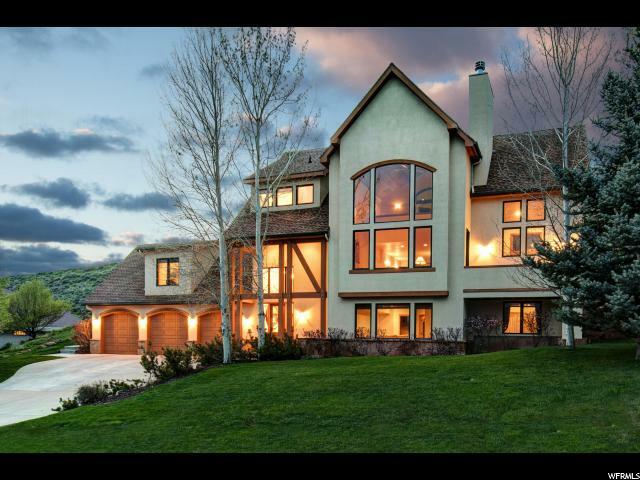 All BACK NINE homes currently listed for sale in Park City as of 04/25/2019 are shown below. You can change the search criteria at any time by pressing the 'Change Search' button below. "Perfect as an estate residence or second home, this property has it all with high-end finishes throughout, extensive stonework and incredible views, Viking appliances, professional office with built in cabinetry, flex room, wet bar, and a custom home theater with electronics included as well as all flat screen TVs throughout the home!!" "Rare location with south facing ski run views from the front plus a large yard backing to 400 acres of open space. Interior blends classic design with a mountain aesthetic, featuring a floor to ceiling stone fireplace & stone accent wall. Built to follow the sun, experience sunshine all day long with beautiful sunrises & sunsets. Attached suite with separate entrance and bath is the perfect work-from-home commute or could be used as a guest-house. Remodeled in 2015 with updated kitchen, baths, carpet & hardwood floors, you can move right in. Private master suite on the upper level. Lower level with three bedrooms (one en-suite & two with dedicated sinks & shared shower) plus a family room with fireplace, stunning mountain views and walk-out. Close to Park City ski resorts, Salt Lake City, Park City's trail system and Jeremy Ranch Elementary School. Perfectly maintained by original owners you will immediately sense the quality & attention to detail."